The CompareMe Shopping Calculator lets you compare the price of products in different sizes and packs. Offline, where ever you are. CompareMe helps you save money with price comparison shopping and as a unit price calculator. 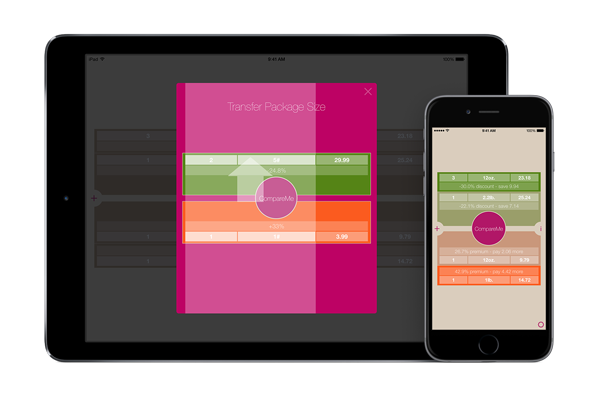 We redesigned & recodeed our beloved CompareMe Shopping Utility iOS app from the ground up. It’s a huge update … you may even call it a new app. But we decided to share it with our incredible existing user base as a free update. All we ask is an honest review at the AppStore. 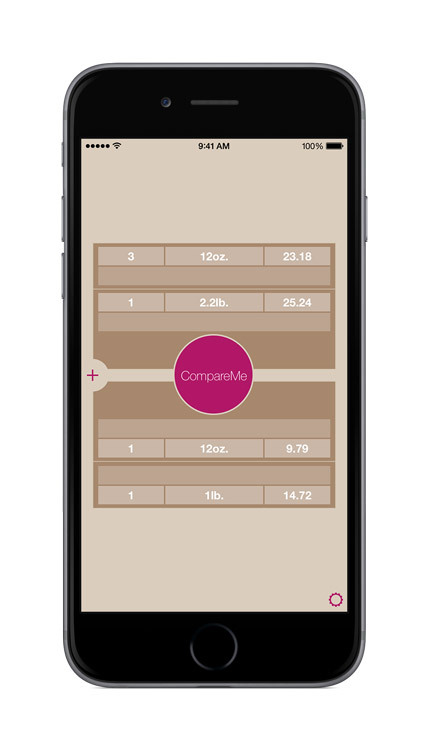 Input amount, package size & price of all products you want to compare. Click on CompareMe and get the results. Rounded discount and premium are displayed in percent as well as the cash you save or pay more. If you want to get detailed price per unit information you can click on the details button on the right. Click on the discount or premium field. 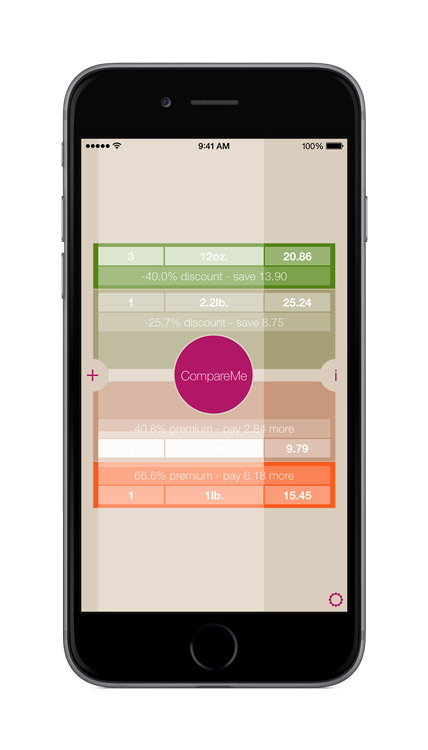 Set the value and toggle the +/- button to switch between premium and discount. If you want to see the recalculated price, you can hit the recalc button. Finally hit the save button. If you’re comparing more than two products, keep in mind that the premium is always calculated according to the cheapest product and the discount is calculated according to the most expensive product. Therefore, setting premium & discount in these scenarios may be a confusing. Compare prices by clicking on the central CompareMe button. Drag the price to the price field of the other product and drop it. Price is converted to the other package size. You also can get the converted price information on the price per unit page by clicking on the detail button on the right. 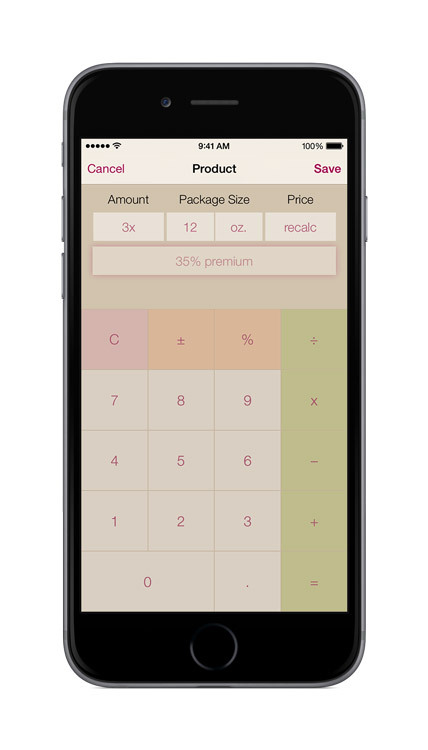 Drag the amount or package size fields to the corresponding fields of the other product and drop it. 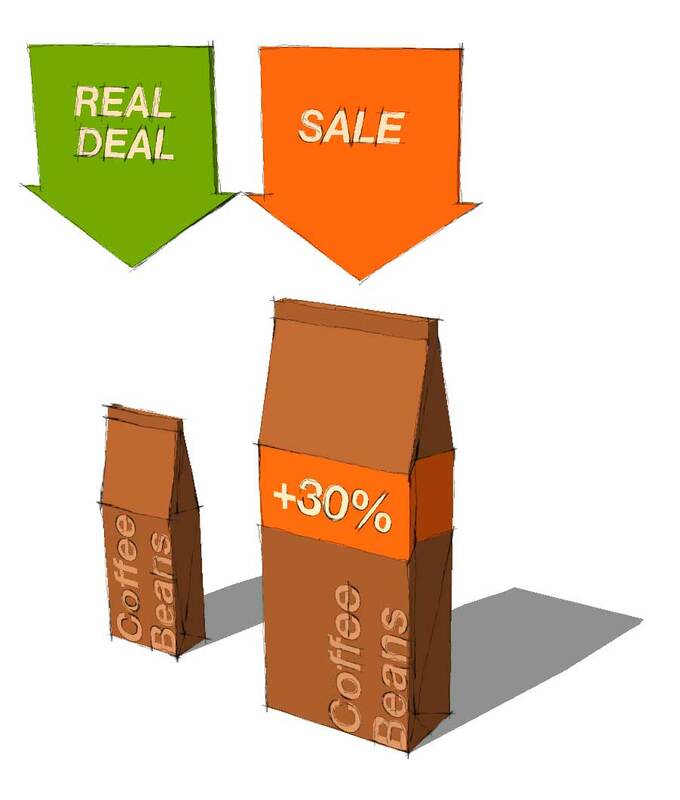 Amount and unit are transferred and – if the units are comparable – the price will be recalculated. Set the amount, unit and price of the product in item A. Drag and drop the amount or unit from item A to B. Drag and drop the price from item A to B. To set a desired discount or premium just click on the 0%-field and input the value. The new price will be recalculated. To set a desired price, click on it an input the desired value. The new discount or premium will be recalculated.